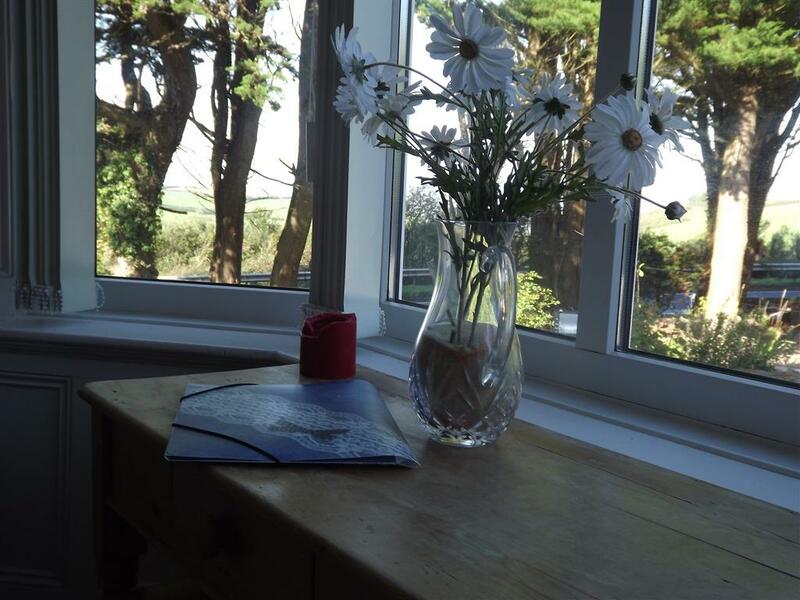 A comfortable, contemporary bedroom, open the window for a 'Picture frame view of Cardigan Bay'. 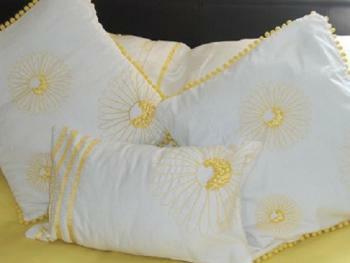 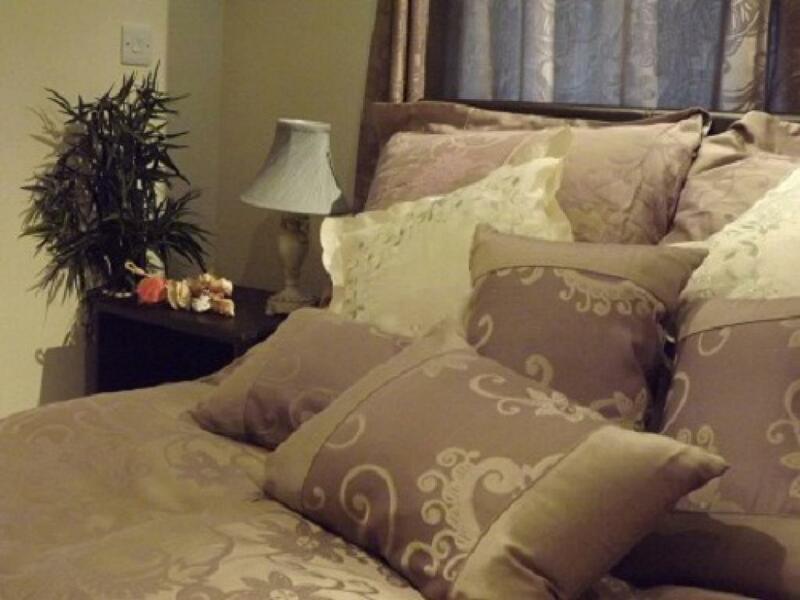 Twin beds, comfortable arm chairs, luxurious Duck Down duvets and pillows ensures a good night's sleep. 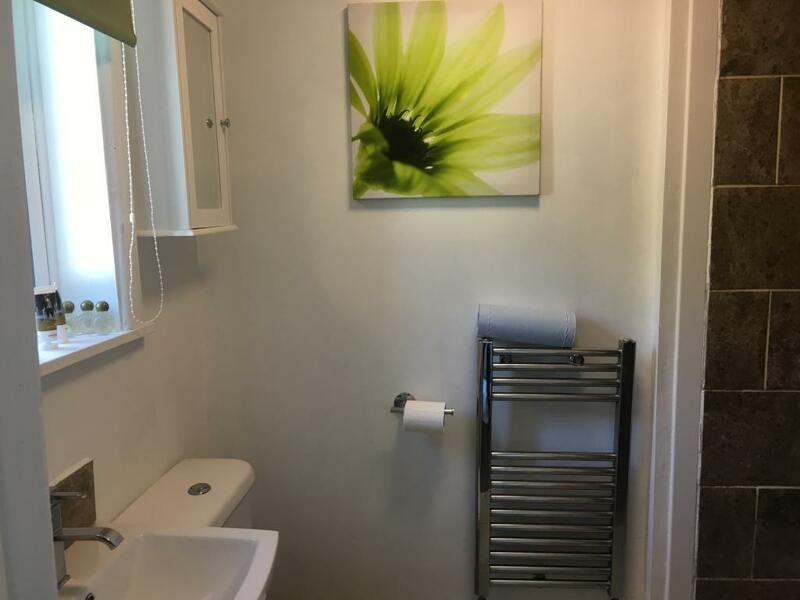 En-suite rainfall shower, tea and coffee making facilities plus a mini fridge for your private use, together with all the usual comforts you would expect. 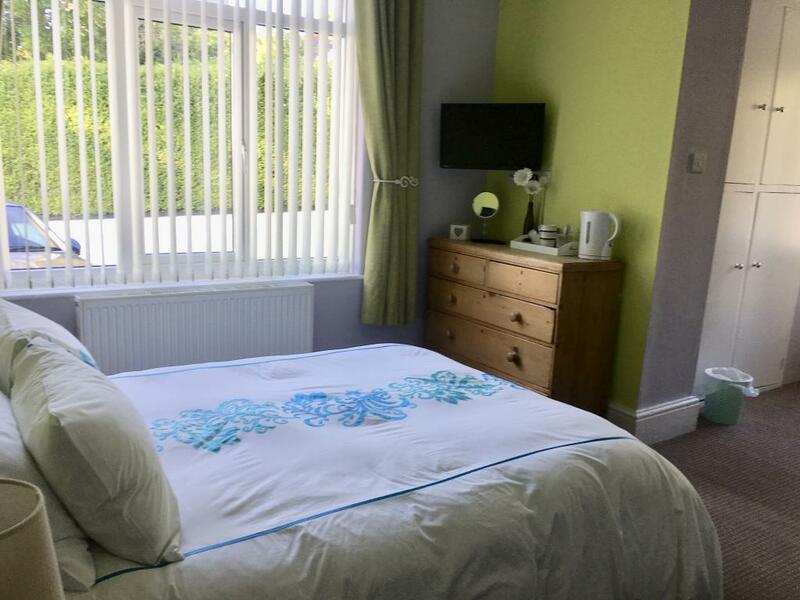 Light and airy Double bedroom, with leather bed and chairs and En-suite Italian tiled bathroom with deep bath and separate shower. 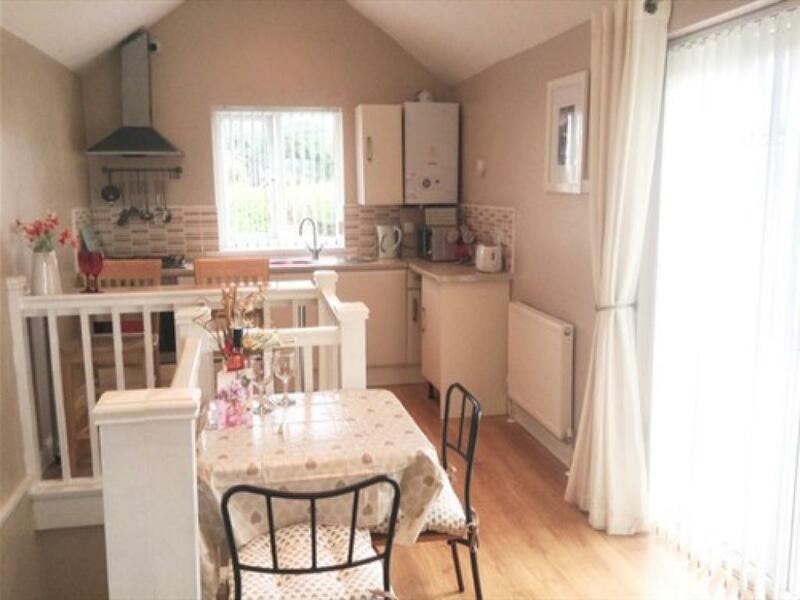 Tea and coffee making facilities plus a mini fridge. 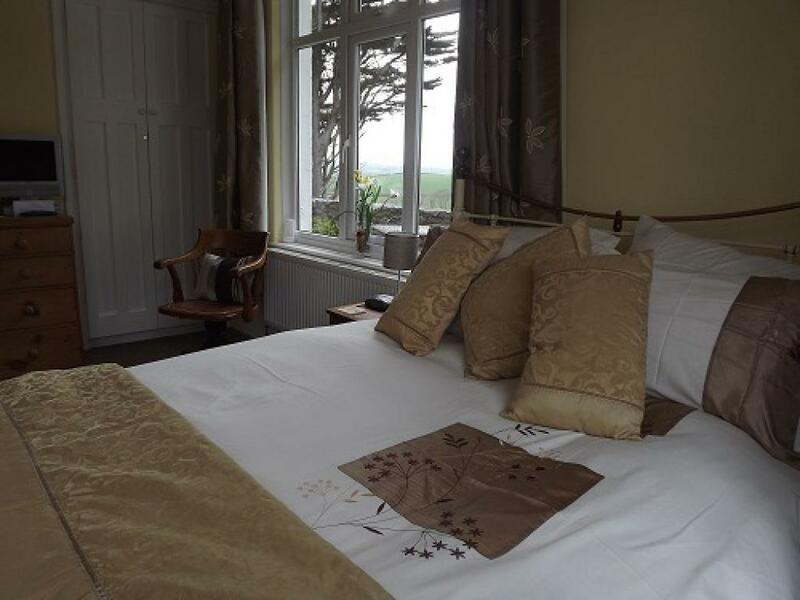 Overlooks our mature gardens with its huge Cypress and Pine trees and the open countryside beyond. 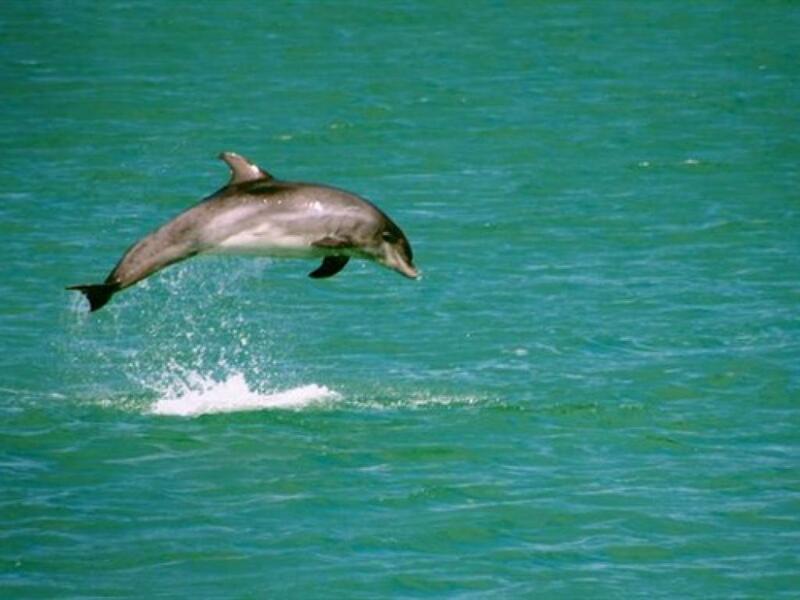 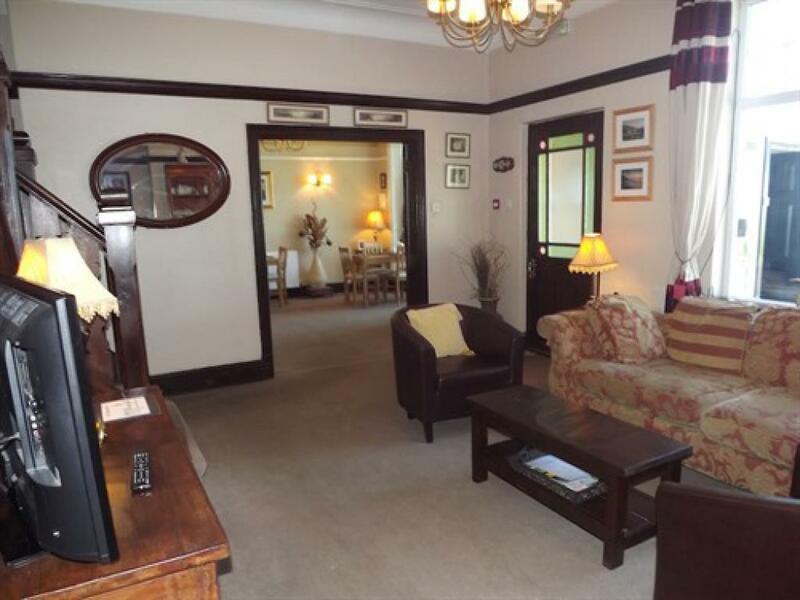 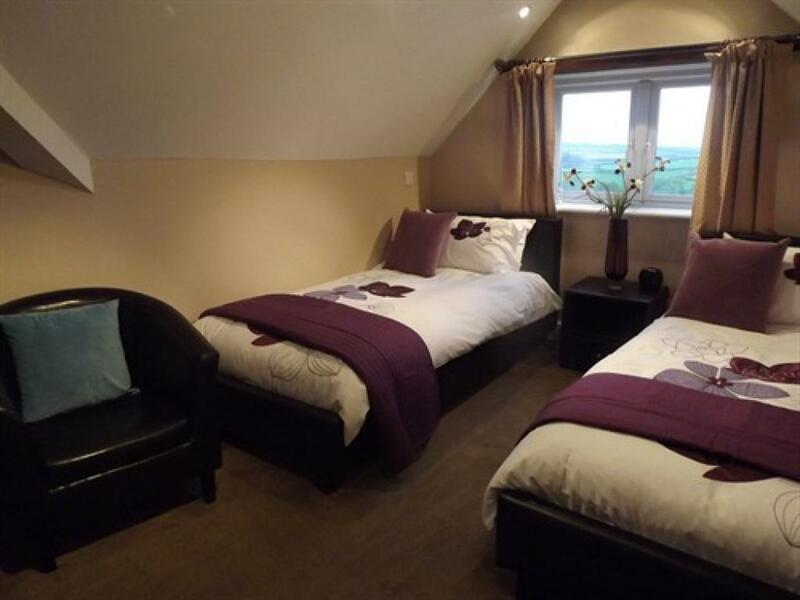 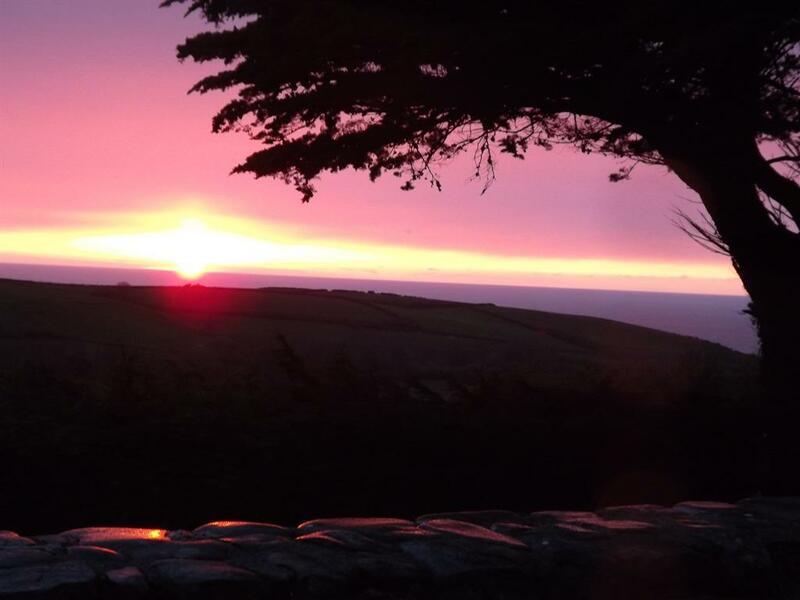 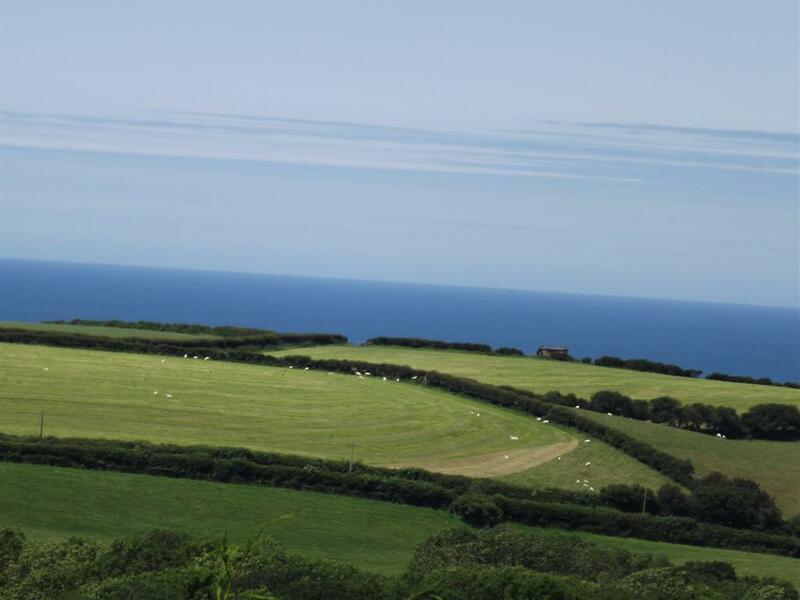 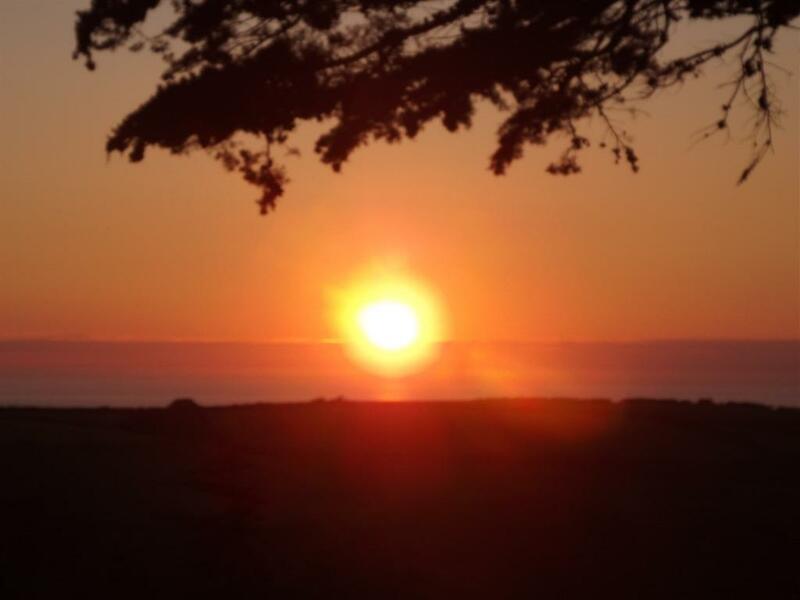 Spacious Double En-suite with dual aspect windows and lovely views of Cardigan Bay. 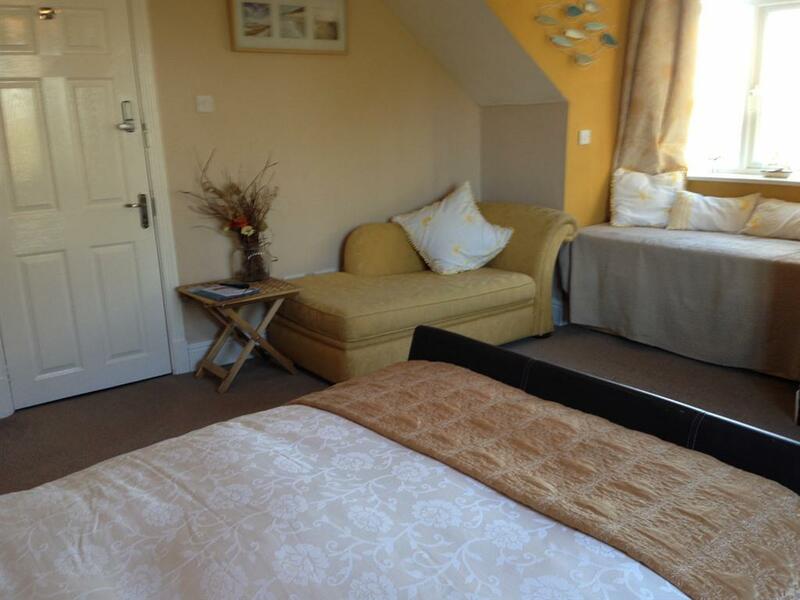 Double bed plus a chaise lounge double sofa bed also makes this also Ideal either for a couple or for a small family. Wi-Fi, Freeview TV, and tea and coffee making facilities plus a fridge. 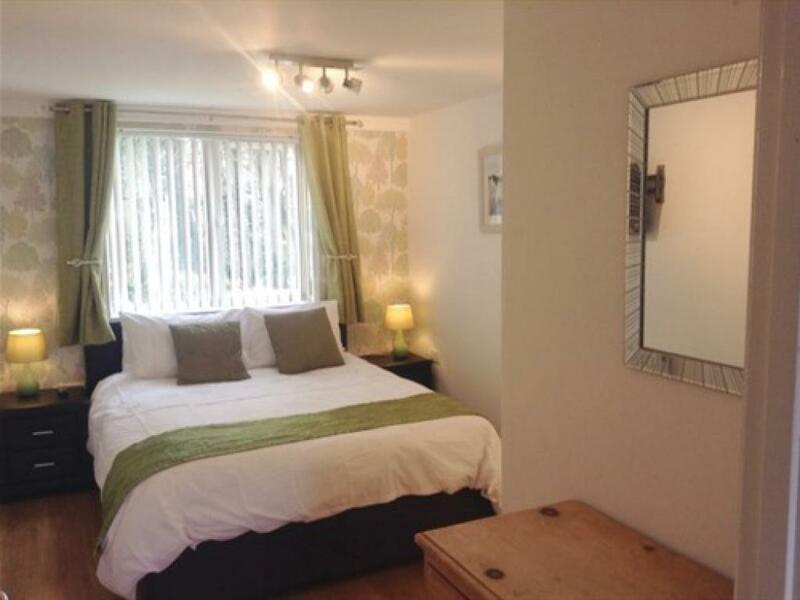 Ground floor, Spacious and Elegant double bedroom with en-suite rainfall shower. 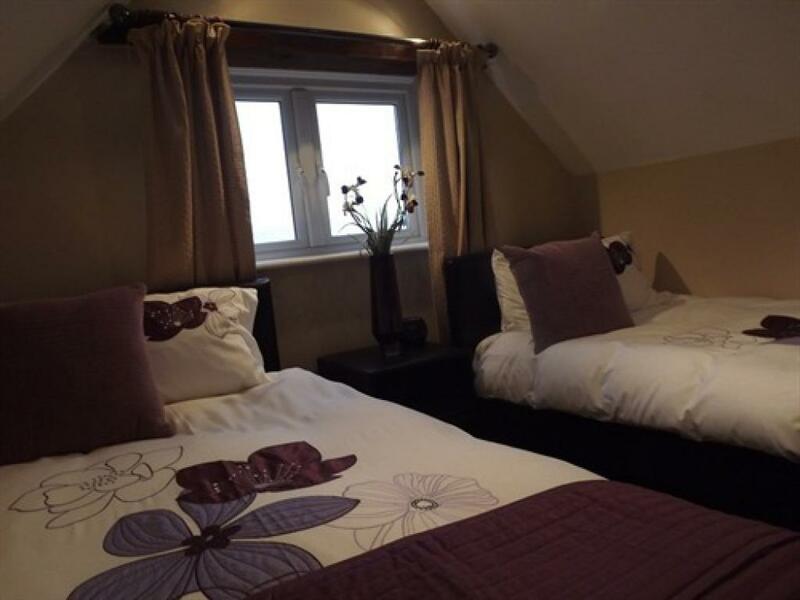 A double bed and a single sofa bed makes this an ideal room for either a couple or a family of 3. 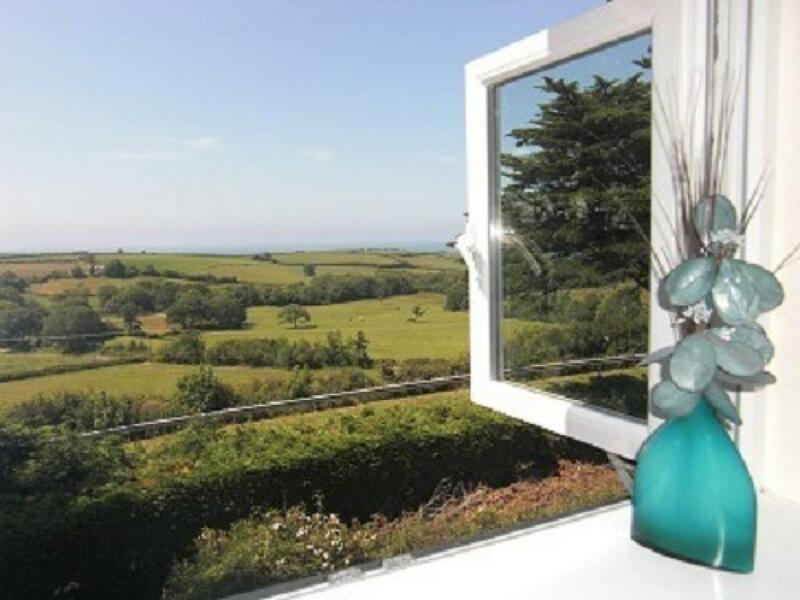 Dual aspect windows with lovely views of Cardigan Bay. 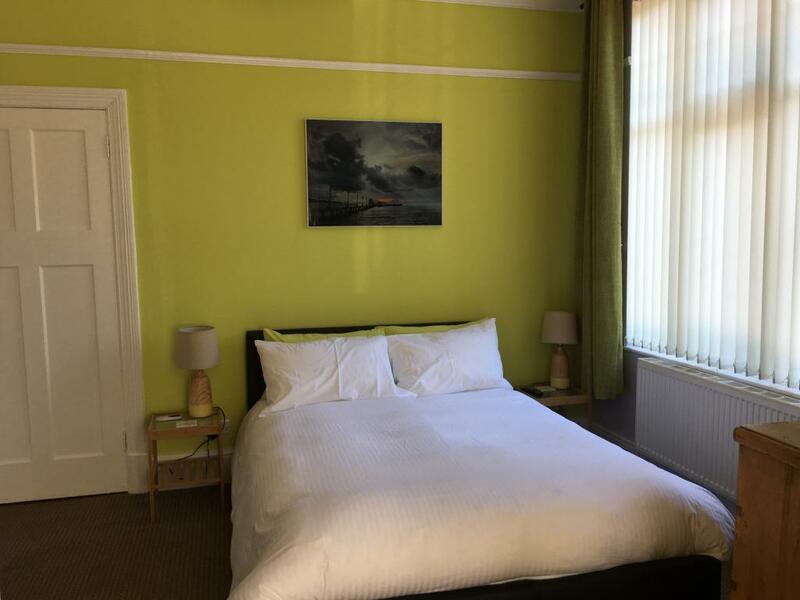 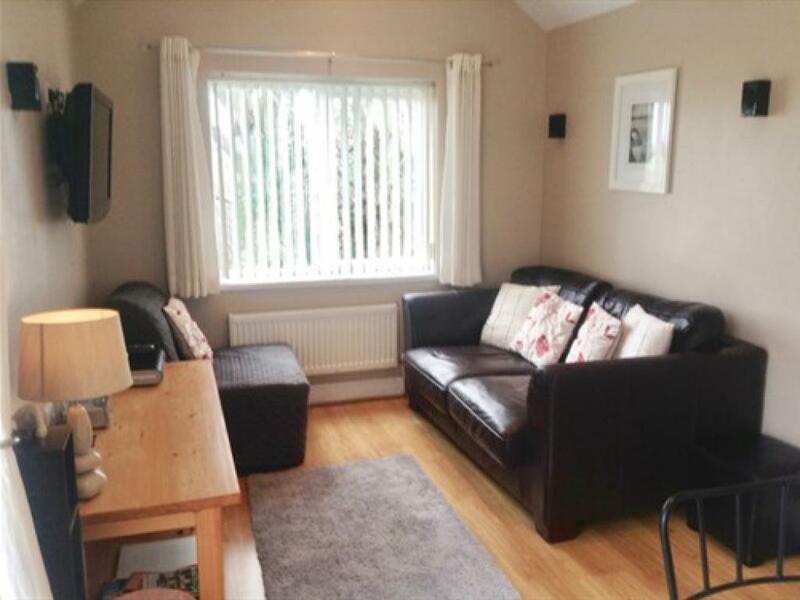 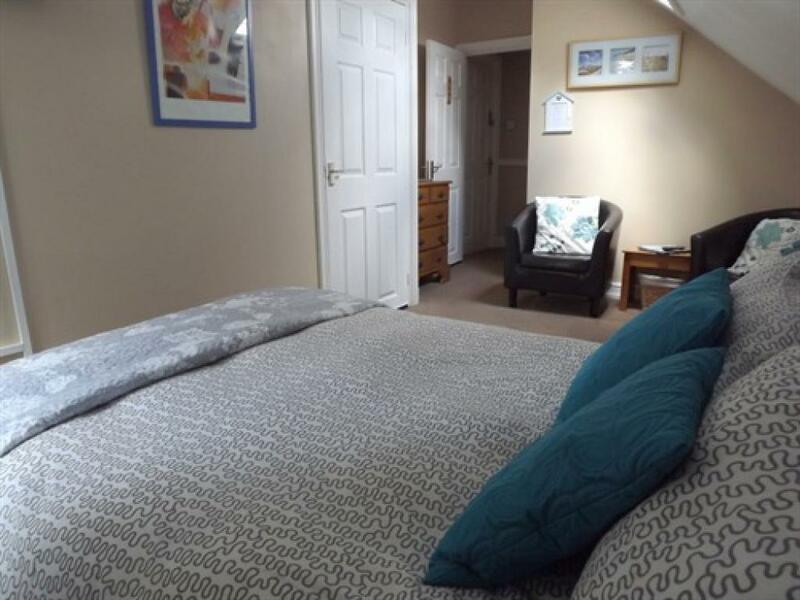 Freeview TV, tea and coffee making facilities and fridge, hair dryer, Iand overhead fan makes this a very comfortable room. .
Self Catering Apartment with private exclusive use HOT TUB (min 2 day stay). 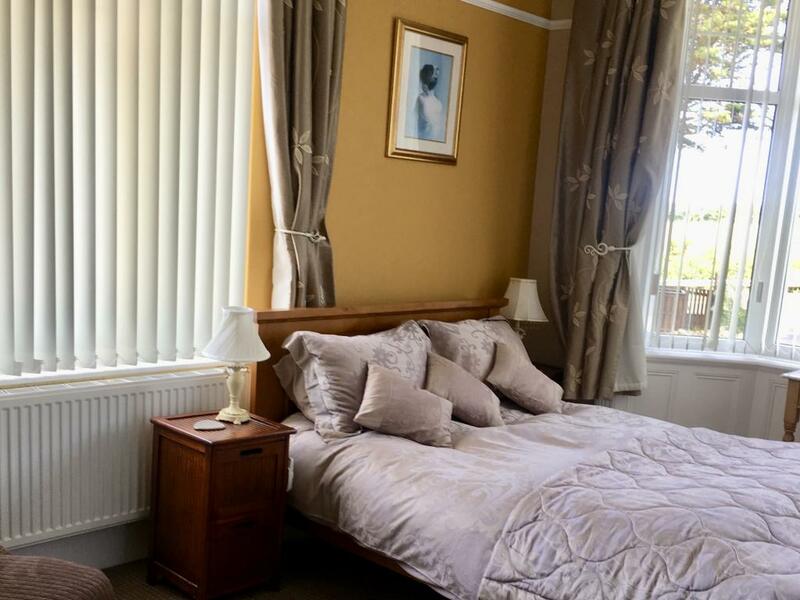 On the ground floor is a bedroom with king size bed and TV, a bathroom with a soothing rainfall shower and upstairs an open plan living area, with kitchen and lounge and Free View TV and Free Wi-Fi. 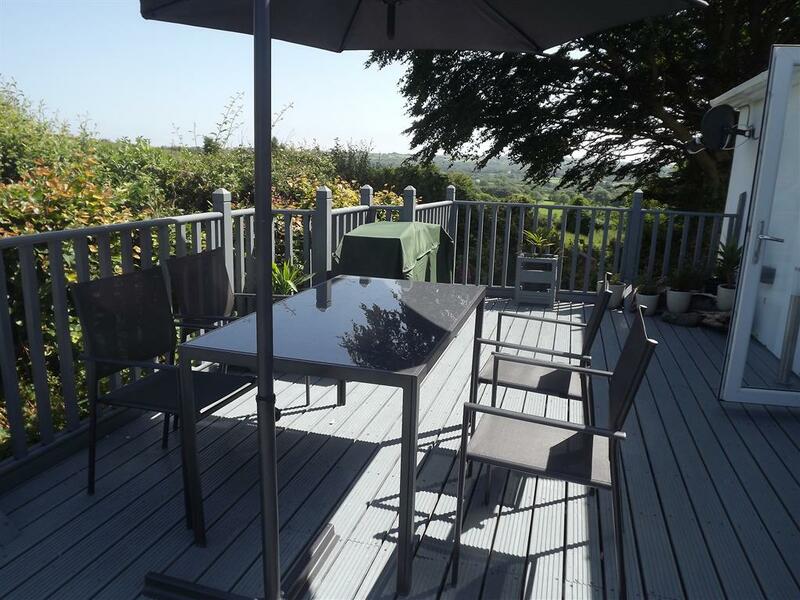 Double patio doors leads onto the large decking area with patio table and rattan garden chairs and settee. 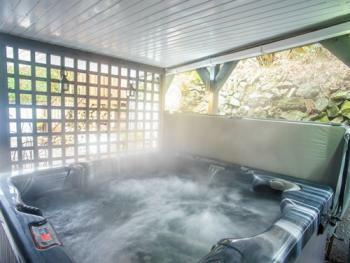 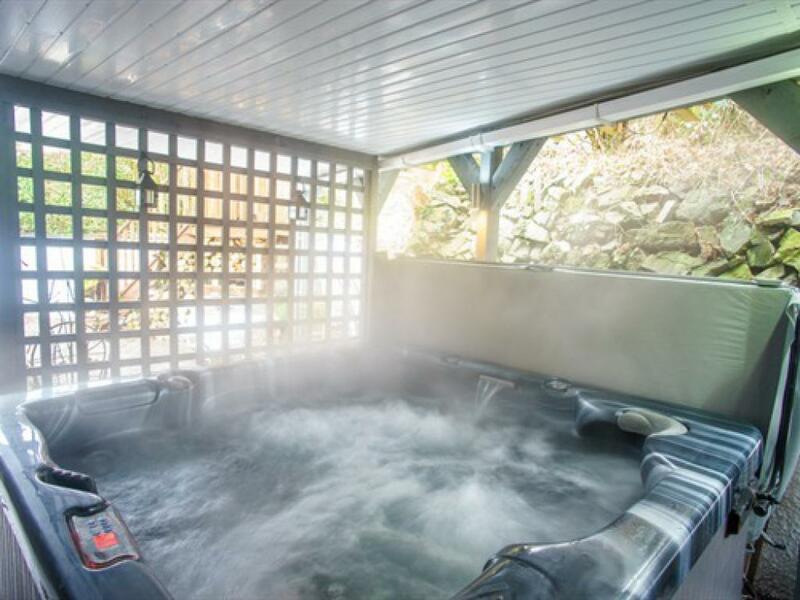 The privately situated hot tub is next to the Apartment and bath robes and towels are provided. 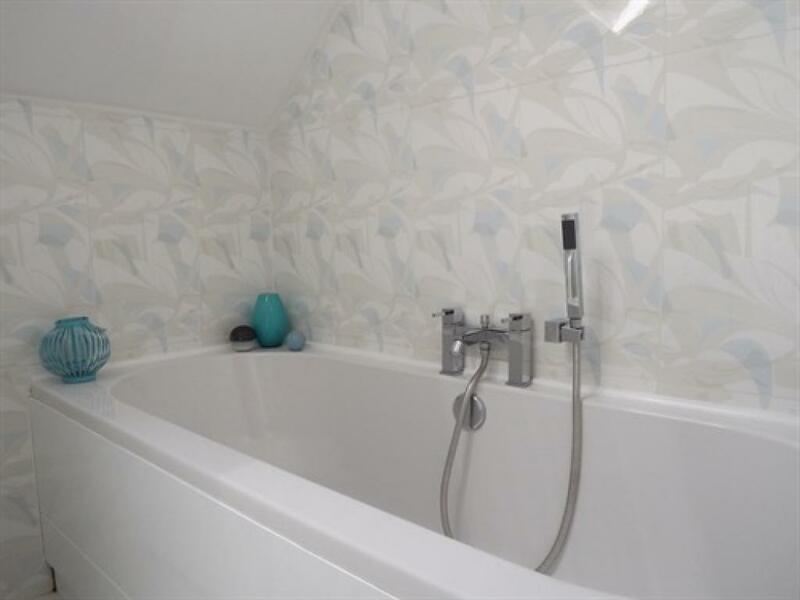 Ground floor, Spacious and Modern double bedroom with walk-in, en-suite rainfall shower. 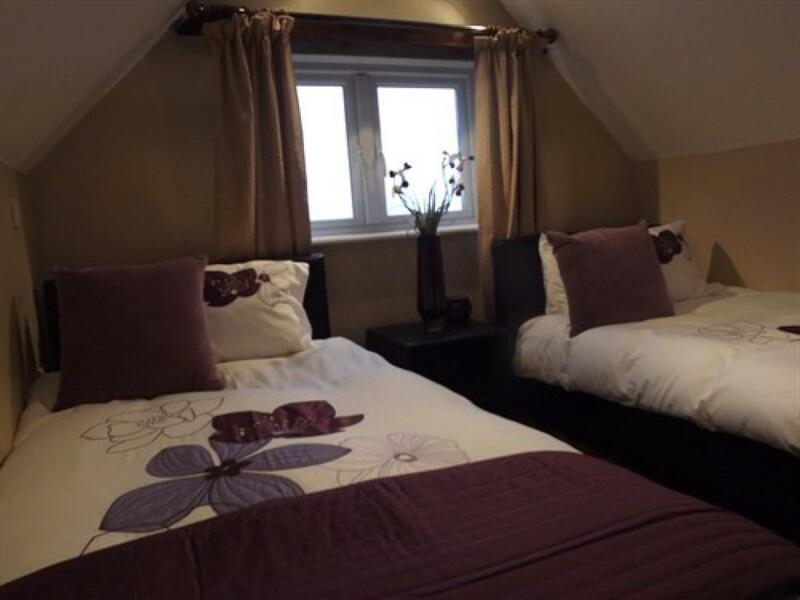 A double bed and a single sofa bed makes this an ideal room for either a couple or a family of 3. 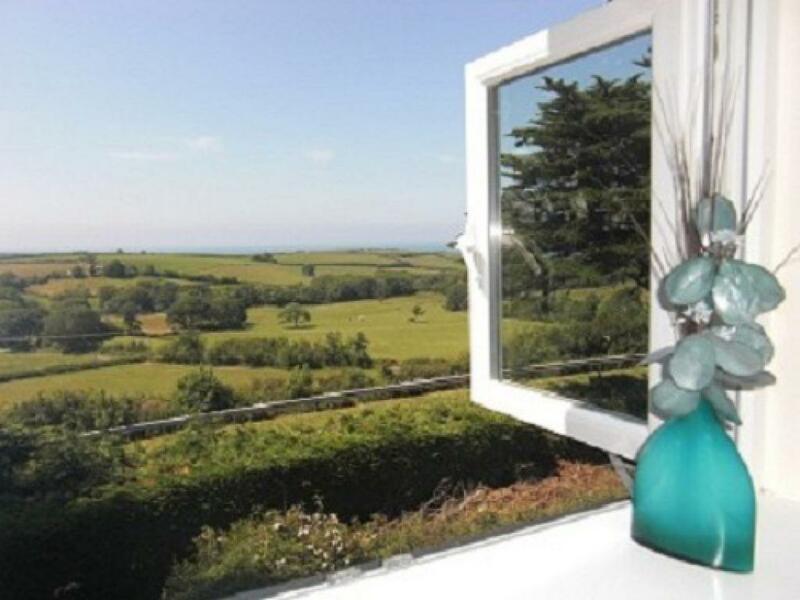 Dual aspect windows with lovely views of Cardigan Bay. Freeview TV, tea and coffee making facilities and fridge, hair dryer, Iand overhead fan makes this a very comfortable room. . 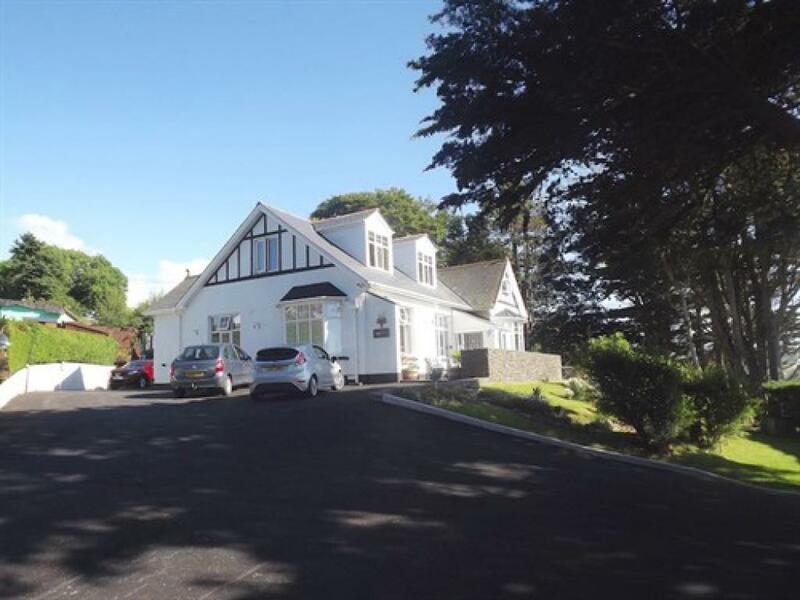 Parking is close to Merwerydd entrance with 1 step from the driveway to the terrace and a small step into the lobby. 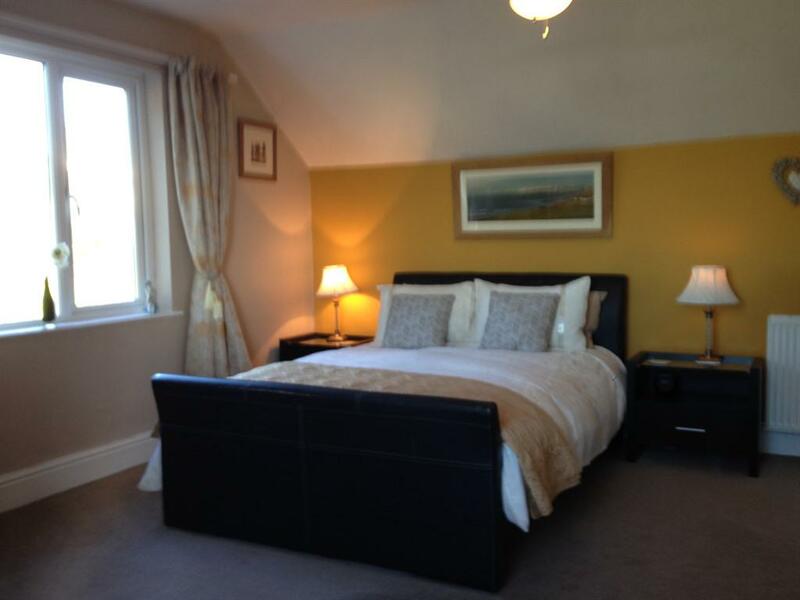 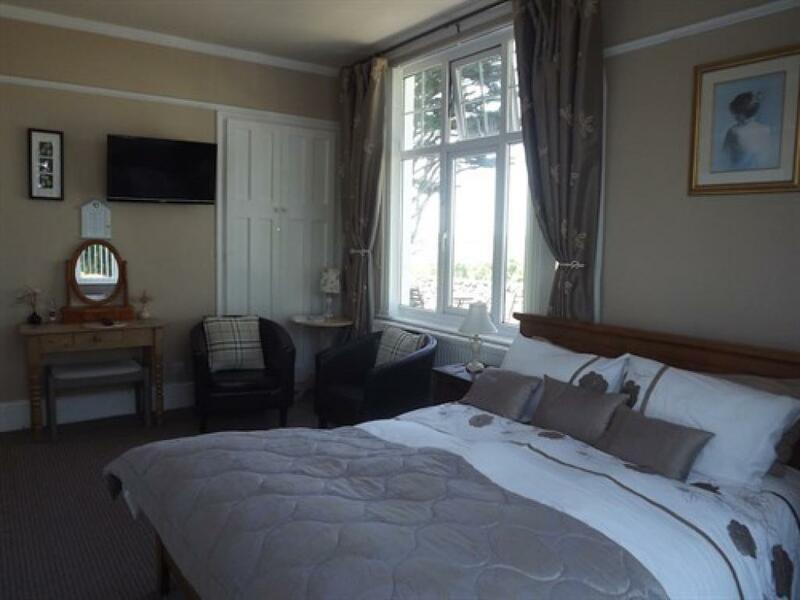 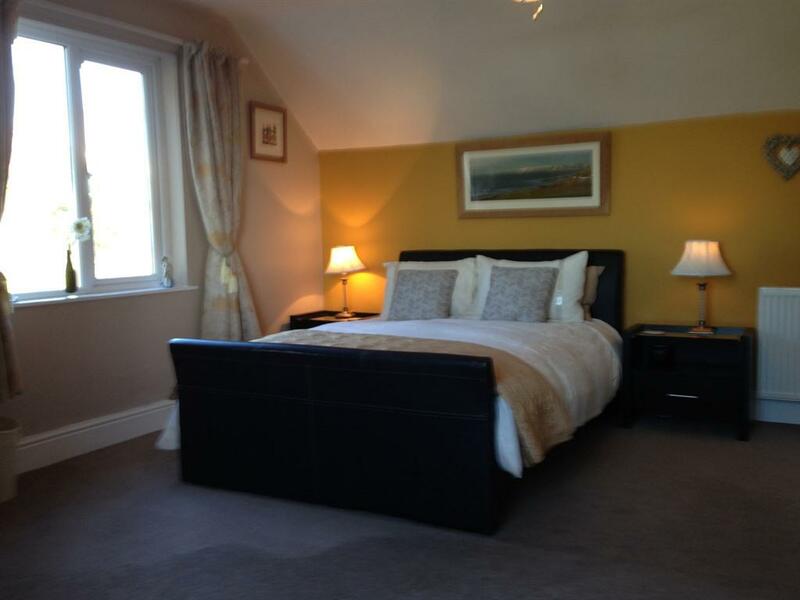 We have a ground floor bedroom (Red Kite View) with a large en-suite shower. 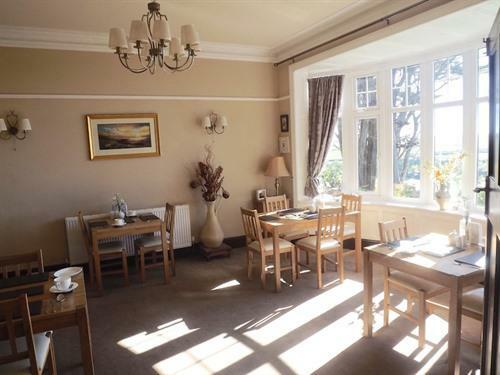 Breakfast is on ground floor level. 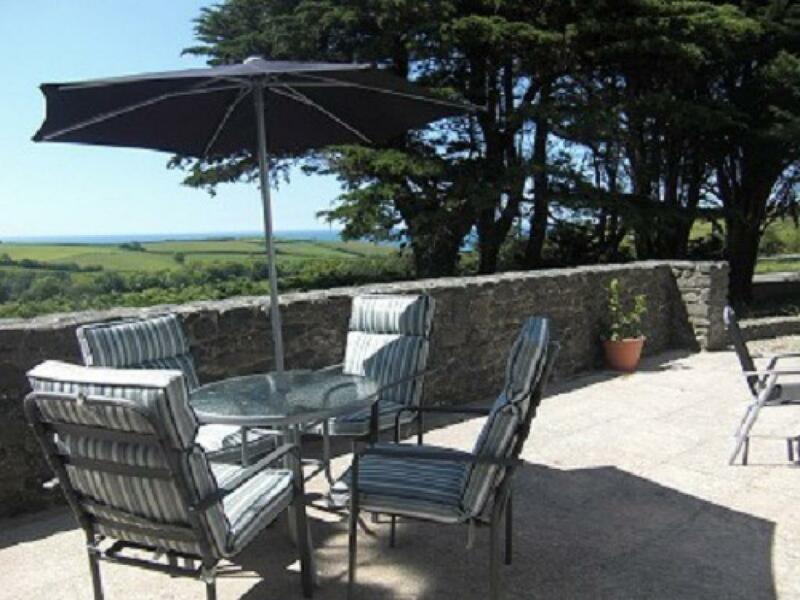 Gardens are accessible down 3 steps.